Stranger Things character Jim Hopper unexpectedly developed into one of the most well-liked in the show. 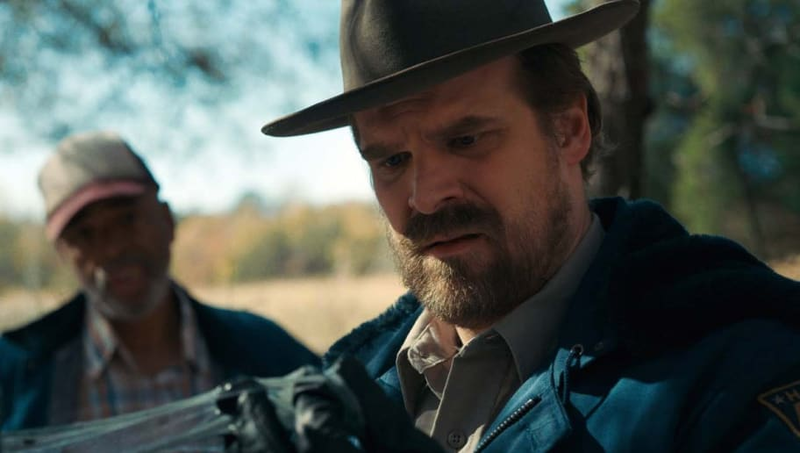 But as many fans will remember, when Hopper was first introduced in the Netflix series, he was kind of far from likable. David Harbour's character was grumpy and visibly depressed with what his life had become at the beginning of the show. While we all know what mainly attributes to his attitude, with the death of his young daughter being a big factor, we do not know much else about Hopper's past before becoming Hawkins, Indiana's sheriff. But now, fans will get Hopper's full background story thanks to a new Stranger Things novel. Titled Stranger Things: Darkness on the Edge of Town, the prequel novel will reveal "long-buried secrets" from Hopper's past after Eleven grows curious of his backstory. It will focus on Hopper's life as a New York City homicide detective in 1977, six years before Stranger Things Season 1. Adam Christopher, author of the novel, confirmed the upcoming book on his blog. "This was a dream project and the book was a joy to write – I’m a huge fan of the show, and Hawkins police chief Jim Hopper is my favourite character," Christopher wrote. "Digging into his past in NYC was a real blast, and I hope readers have as much fun reading about his bizarre 1977 adventure as I did writing it." For those concerned, the novel is completely canon and ties into the storylines we see in the show. Stranger Things: Darkness on the Edge of Town will be released on June 4, exactly one month before Stranger Things Season 3 premieres on Netflix.